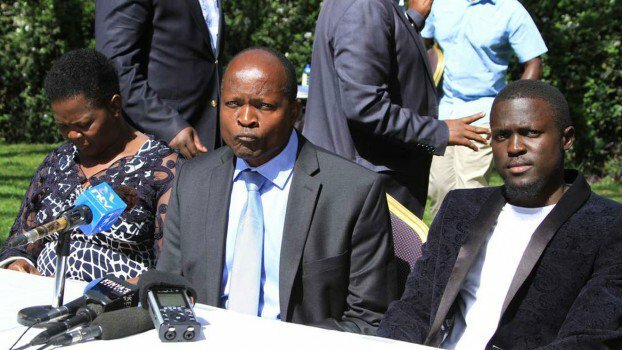 Love Triangle: Did Okoth Obado's Wife Kill Sharon Otieno? Home / Hellen Obado / Okoth Obado / Sharon Otieno / Love Triangle: Did Okoth Obado's Wife Kill Sharon Otieno? New details are coming into light as detectives go deeper into the mystery behind the gruesome murder of Rongo University student Sharon Otieno who at the time of her death was carrying Migori governor Okoth Obado's child. When Hellen Obado, wife to Okoth Obado, was summoned by the department of criminal investigations detectives, many people started questioning her role in the murder of Sharon Otieno. The public which had played judge and jury and accused governor Okoth Obado of murdering the lady to prevent her from having her baby are now having second thoughts on what could have led to the death of the seven months pregnant lady. As of now, Okoth Obado's personal assistant, Michael Oyamo, a bodyguard of the Obados and a clerk in the county government are in the custody of the police. All these people are said to have been very close to Hellen Obado. Sources close to the investigations have also told Daily Updates that Hellen Obado was in constant communication with Sharon Otieno up to the time she met her death. The call records have not been made public. The vehicle that was used to ferry Sharon Otieno to the forest from where she was raped and stabbed has been recovered. It turns out that vehicle belongs to an aide of Migori County's first lady. Hellen Obado had earlier issued a statement saying her husband was innocent from any wrong doing and sent condolences to the family and friends of Sharon Otieno. She asked the people of Migori to remain calm and peaceful during the investigations. Here is what people are saying on social media about the death of Sharon.